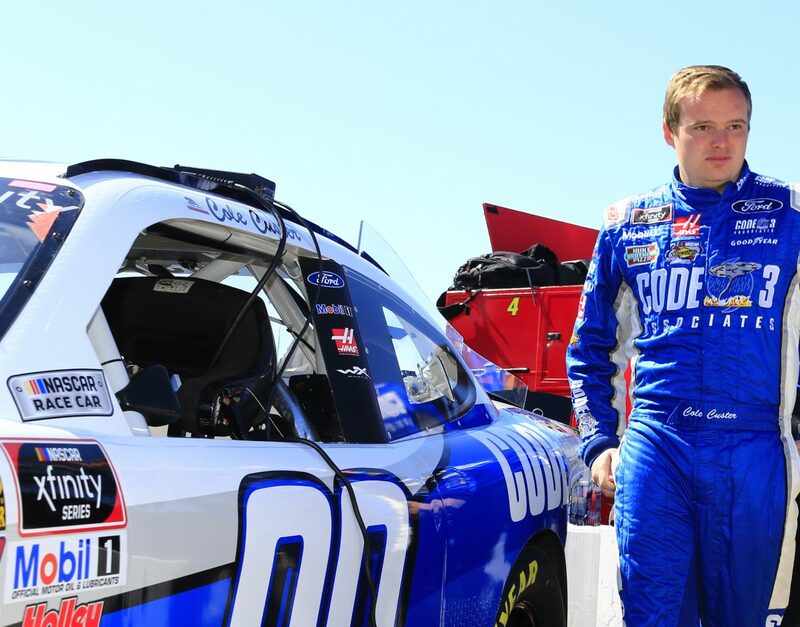 The LTi Printing 250 at Michigan International Speedway in Brooklyn will mark Cole Custer’s second career NASCAR Xfinity Series start at Michigan. In Custer’s first outing at Michigan, he started seventh, led 15 laps and secured a 10th-place finish. Custer started 18th in the NASCAR Camping World Truck Series race at Michigan in August 2016 and drove toward the front of the 31-truck field to lead twice for a total of 18 laps. But an accident less than 20 laps from the finish ended his strong run. He finished 22nd. Last weekend at Pocono (Pa.) Raceway, Custer earned his and Stewart-Haas Racing with Biagi-DenBeste’s third Xfinity Series career pole award. He piloted the Haas Automation Mustang at the front of the field for 23 laps and ran inside the top-five for the majority of the race before earning his first top-five at Pocono. Custer has earned three poles, three top-five finishes, nine top-10s and has led 100 laps in the 2018 Xfinity Series season. In the first 12 races this season, Custer has earned four more top-10s, one more top-five, three more poles and has led 86 more laps than the first 12 races run in his rookie 2017 season. The LTi Printing 250 is the second of three races this season that the Xfinity Series will run a low-downforce aero package. This package was run last weekend at Pocono. Custer is second in the NASCAR Xfinity Series driver standings, 62 points behind series leader Elliot Sadler. Code 3 Associates will be the primary partner onboard Custer’s No. 00 Ford Mustang at Michigan for the second time this season. Code 3 Associates is a 501(c)(3) non-profit organization specializing in animal rescue and recovery in disaster areas. Formed in 1985, Colorado-based Code 3 Associates is a national response team that, at the request of local government officials, provides animal rescue and recovery in times of disaster. The organization has evolved from one unpaid volunteer to approximately 75 professional responders and thousands of members around the country, which include animal welfare, law enforcement, fire, EMS and veterinary specialists from the United States and Canada. While its focus is animals and their owners, Code 3 Associates trains its responders to the standards of human rescue, and Code 3 Associates also provides training to conduct thorough investigations into animal welfare issues, all of which is accredited by Colorado State University and the school’s Veterinary Teaching Hospital. You’ll be running the same aero package this weekend as you did in Pocono last weekend. How did the car feel and what can we expect at Michigan? Do you think this new aero package produces more energy from the fans? Are you a fan of 2-mile tracks? What was your take on the new aero package and what should we expect to see in Michigan?